Swissflex Microelectronics is inspiring new concepts for innovation to develop and manufacture customized, sophisticated specifically designed ultra-flexible hybrid microcircuits for various high-tech applications for different industries. Swissflex Microelectronics is an industry leader in high performance ultra thin film circuits and thin film high density interconnects. Swissflex Microelectronics flexible electronics circuit’s technology has a huge in advance to other technologies, offer excellent performance, ultra miniaturization solutions with no adhesives materials, and highly conform to the requirement of implant devices and medical devices technology. 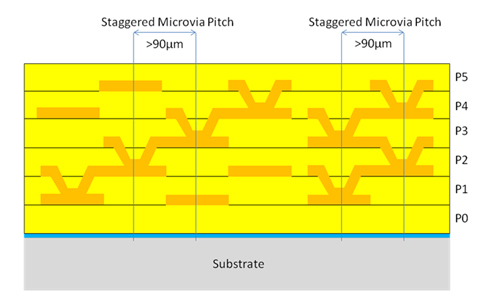 Swissflex Microelectronics has a propertary technology of ultra-thin flexible multilayer printed circuits labeled Smart-Slim-Flex (SSF) that offers numerous technical advances over the existing flexible printed technology, being highly flexible, highly integrated complex with a structure up to 10 times more smaller in comparison with current FCB technologies. Swissflex Microelectronics has a special proprietary flexible electronics technology which is highly flexible and thinks incomparable to the existing flexible circuit’s electronics technology in the market. Swissflex Microelectronics flexible circuit’s electronics technology is an unique flexible electronics circuits technology which is excellent factor and ensure very high control of the process. Swissflex Microelectronics consolidates its exclusive position in the very promising flexible microelectronics segments. The established list of customers, the long expertise in hybrid electronics and assembling services will contribute to diversify the business and thus the overall turnover. Swissflex Microelectronics is planning to boost the sales. Swissflex Microelectronics will invest more intensively in the marketing of our products in worldwide. Swissflex Microelectronics plan to be involved proactively in product servicing, by offering to customer more engineering services with product design and development options, besides to the existing manufacturing. Moreover, Swissflex Microelectronics aims to offer a cost effective flexible technology to complete its product line and target new markets more sensitive to pricing. Thus Swissflex Microelectronics targets to offer to customers all options with cost effective sophisticated flexible micro circuits. This technology provides unlimited design possibilities, miniaturizing complex applications which highly in demand in different high-tech domain seeking for miniaturization. Offer some unique features with attractive applications in industries such as aerospace, defense, telecommunication and medicine, which are not very price-sensitive. There is a positive opinion from a respected institute on feasibility, which shows an efficient way to profitability. Swissflex Microelectronics has a large engineering expertise in ultra flexible electronics fabrication and thin film hybrid technology. Swissflex Microelectronics disposes of modern characterization and fabrication facilities as well as specialized expertise in the field of nanotechnology. Swissflex Microelectronics flexible circuits technology has developed a propertary advanced flexible printed circuits technology (FCB) Smart-Slim-Flex (SSF), which provide much more design and dimensional aspects, in pipeline with state of art applications and projects in medical technology, space aircraft, automotive, high precision HF-Radars and as well as hi-tech industrial domains. The SSF technology film is a highly flexible film with very finely pattern-able interconnects with a pitch of 20 microns. In addition to standard products, these interconnect reduced by a factor of 5-10, resulting in corresponding savings resulting surface to 16 times. 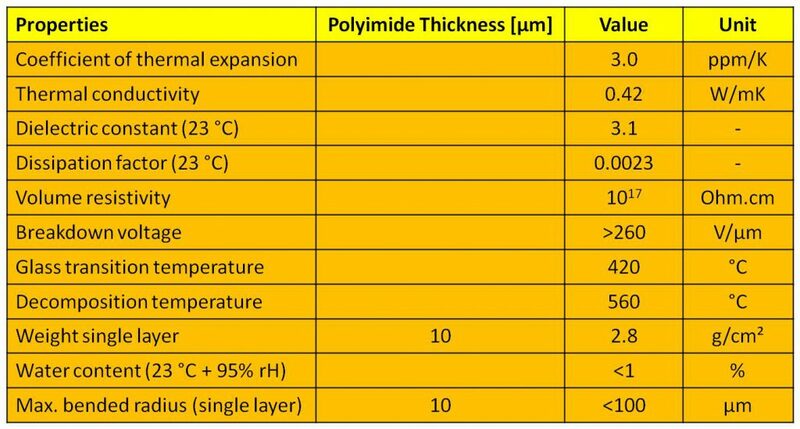 Active conductor layer instead of the conventional 100 micron a thickness of less than 10 microns which requires high flexibility (ultra pliability, ultra flexibility) and low weight of the film means. Such films are a world first on the various markets. They can be used in various fields, such as e.g. medical, high-frequency – conductor, Microcircuits. Overall, with SSF technology very smaller, more powerful electronic devices that will be able to be built. With this technology, it is possible to place components and bond on a rigid support, which can be replaced later. This avoids the usual problems with the assembly and bonding of flexible circuits.